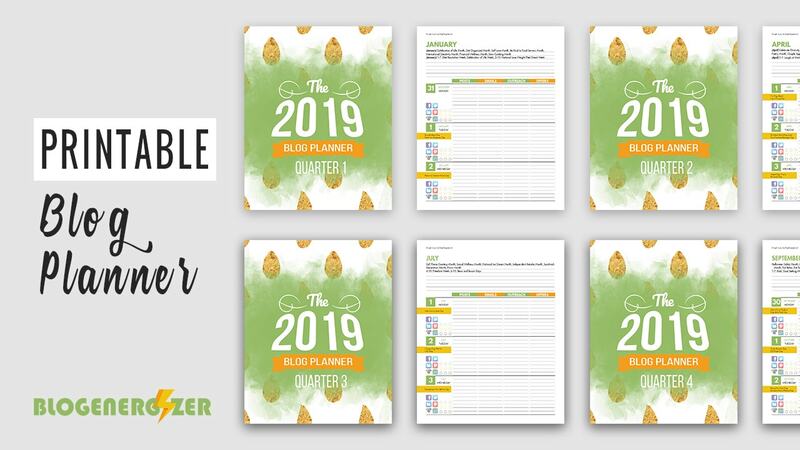 Enter your first name and your primary email address to receive the BlogEnergizer planner, information about technology, tools, deep discounts and helpful techniques related to running and growing your business. We are excited to bring you a quality, professionally designed blogging planner for the 11th consecutive year! Featuring a weekly two page spread format, this planner gives you plenty of room to plan and jot down ideas. Print it out, slip them into your binder, or send them to your local printer. Download now and get planning. Trusted by tens of thousands. When you get the FREE blog planner and calendar, you will also receive blog suggestions to grow your blog, topic ideas, WordPress how-to's, information about technology, tools, deep discounts and helpful techniques related to running and growing your blog business and more.